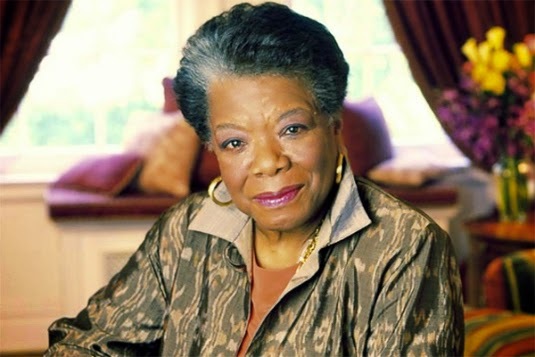 Last week, many were deeply saddened by the passing of poet, author and activist Dr. Maya Angelou. Her words have inspired generations, and her life is definitely one to be esteemed and admired. Through her craft and her life experiences, Dr. Angelou has truly shown the power of a human with a voice. 1. Make your message known. Dr. Angelou was an amazing story teller, and always knew how to manipulate language in ways that stirred people to feel. PR professionals must know how to do the same. Use your words to create a full story, take people on a journey with you. 2. Follow your true passions. There is much to consider when planning out career goals. Many professionals opt to chase opportunity or high salaries over their true passions. Dr. Angelou’s life should serve as a constant reminder of just how much success our true passions can yield. 3. Listen to yourself, and trust your instincts. There may always be someone with more experience, expertise or qualifications than you, but that does not make your contributions any less valid. Don’t compare yourself to others or second guess your decisions. Chances are, you were right the first time. 4. Accept and acknowledge the process. Public relations can be an extremely competitive field, and we may find ourselves envying or coveting the successes of our colleagues. Rather than compare yourself to those who may be farther along in their careers, accept your own process. Think of all of the stages and changes that they went through before reaching their own accomplishments. Most of us would not be where we are today without the help and encouragement of friends, family and mentors. Remember that someone is looking up to you, hoping to one day become what your are. Take the time to pass on your wisdom and advice to those who may need it. What other lessons have you learned from the life of Dr. Angelou?